Leadz® Presentation follows an innovative presentation system, which is noticeably different from conventional standard presentations. 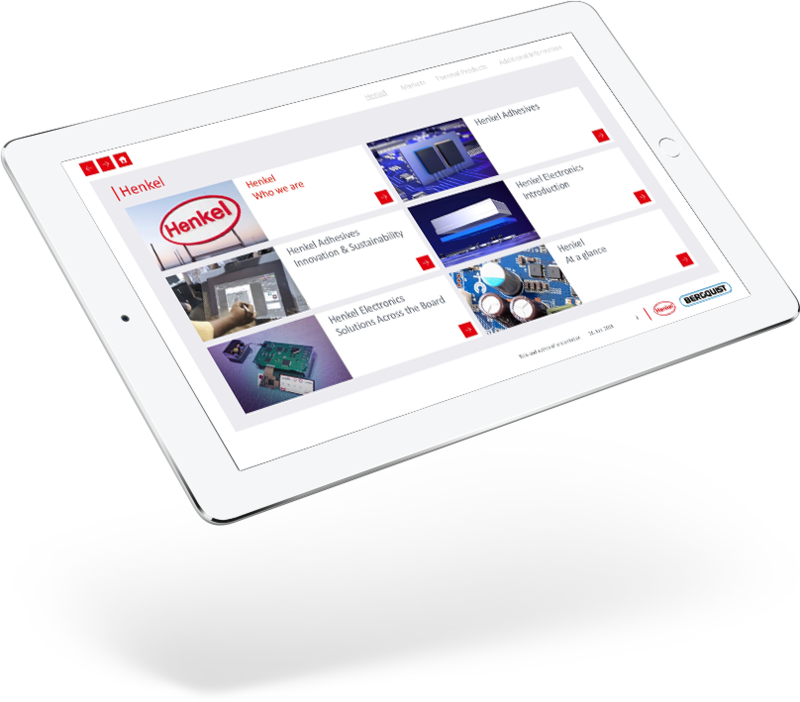 The combination of clear structures and flexible navigation enables targeted information transfer with optimum ease of use. In this way you increase the attention of your customers in practice many times over, while the presenter is relieved at the same time. Control every presentation content with just a few clicks thanks to flexible navigation. 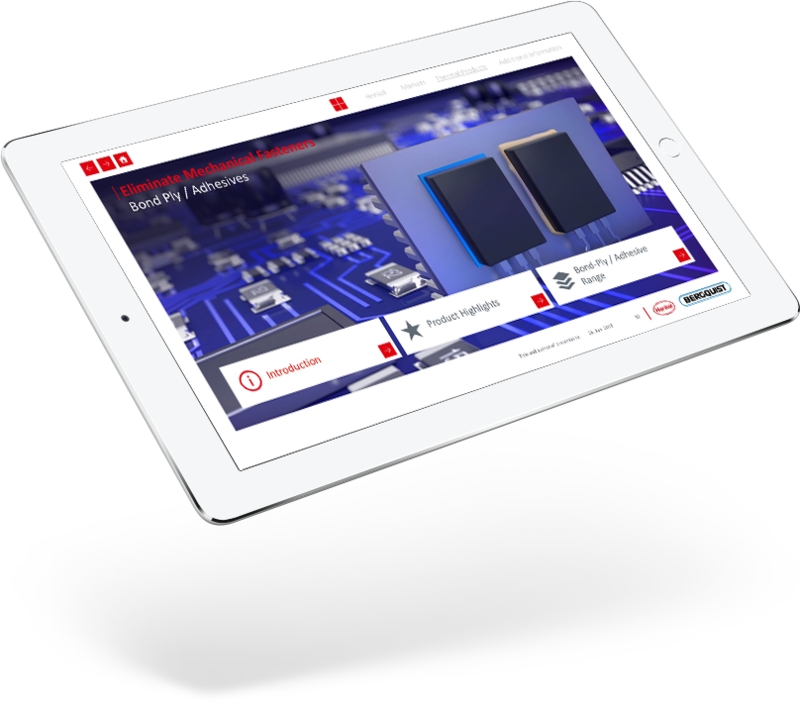 Impress your customers with art look and feel and up-to date technology. Put the information needs of the customer in the foreground. Choose from versatile presentation templates or have a custom design made. Set new quality standards and convince by competence. 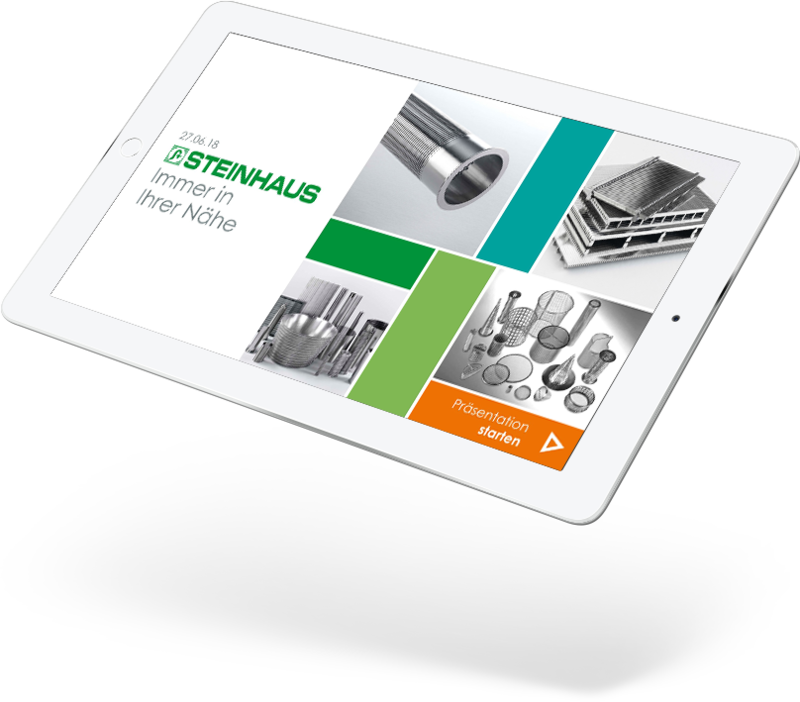 Decide flexibly where you want to present and which hardware should be used. 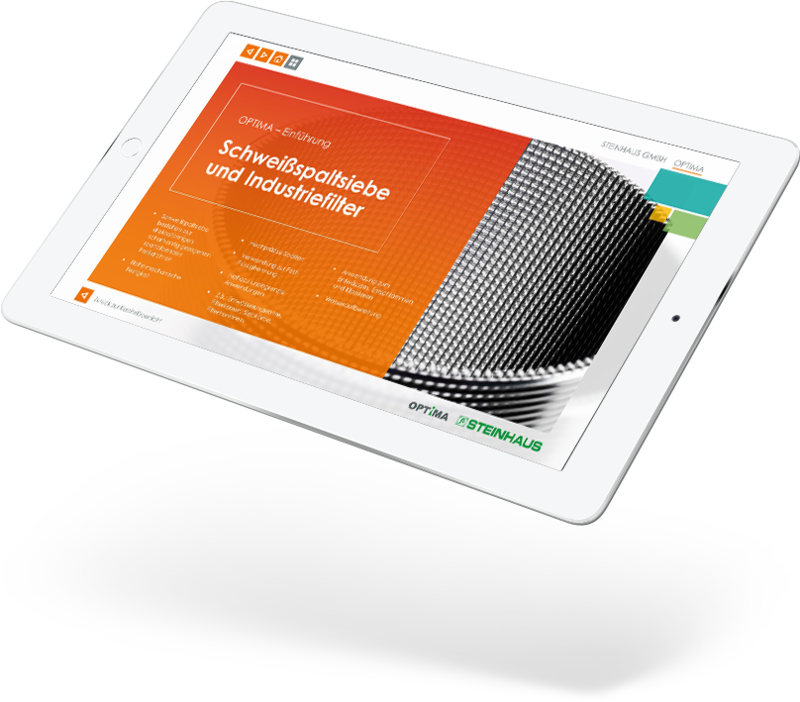 Herzstück einer jeden Leadz® Presentation ist ein interaktives, anpassbares Navigationskonzept, das jeden Präsentationsinhalt mit nur wenigen Klicks ansteuerbar macht. Der Präsentierende ist so in der Lage, flexibel auf den Informationsbedarf des Kunden einzugehen. Außerdem ermöglicht ihm die Verknüpfung mit digitalen Inhalten den Zugriff auf weiterführende Informationen. 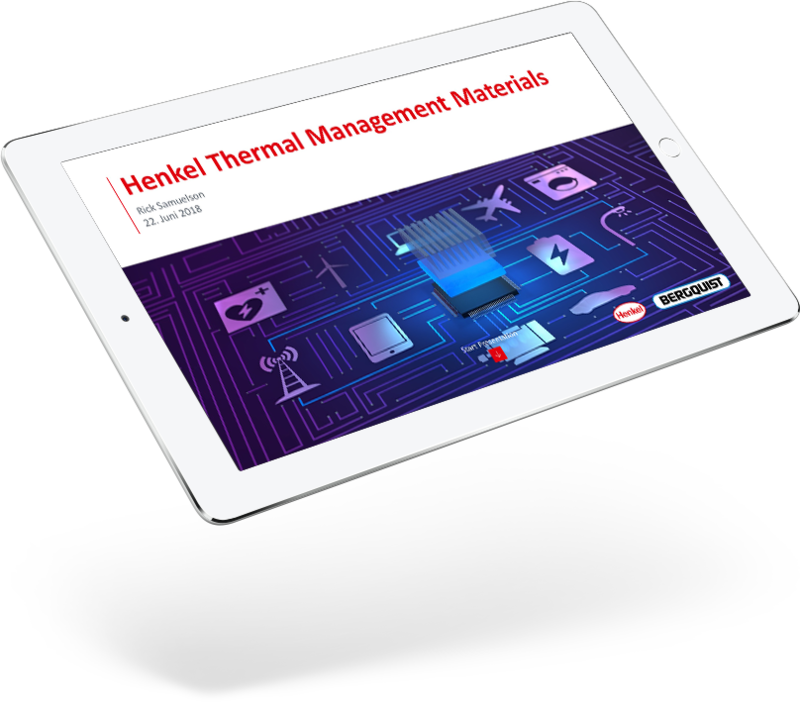 Extensive presentation on the Thermal Material Campaign for Henkel Sales flexibly where you want to present and which hardware should be used. 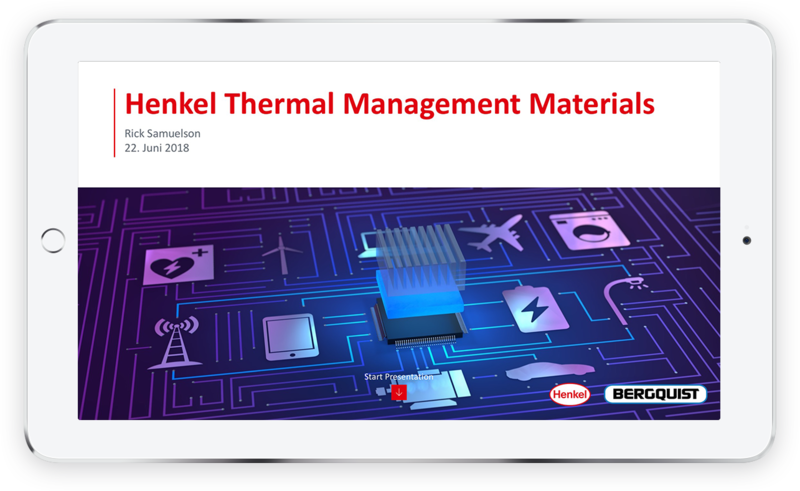 Henkel AG would like to see a presentation solution for their sales in the context of the Thermal Material Campaign, which was developed together with TR \ D. TR \ D designs. An extensive Leadz® Presentation covers the entire product portfolio of the campaign. 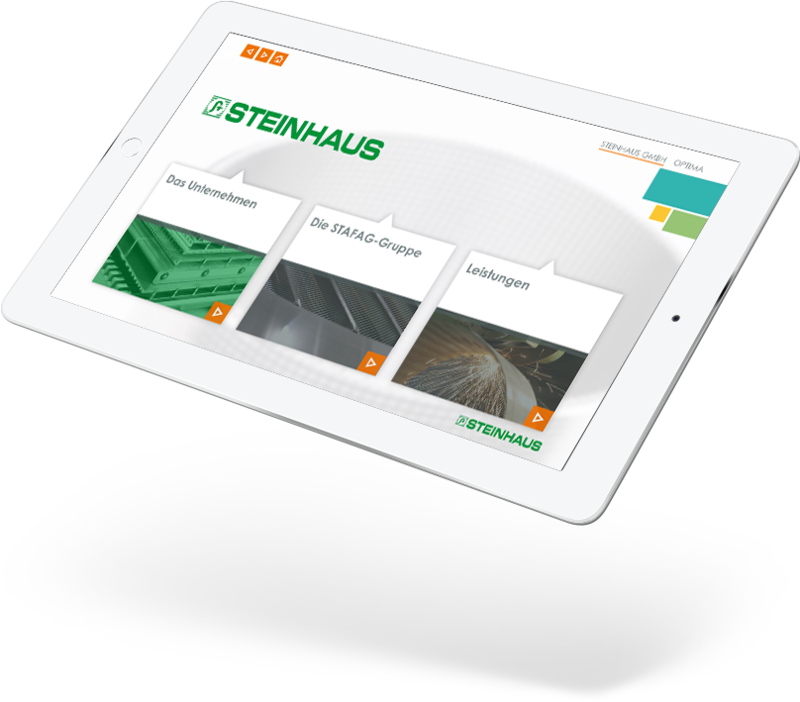 Given the sheer volume of the presentation, which spans hundreds of pages, one of the main focuses of the design work was the development of a flexible, intuitive navigation structure. 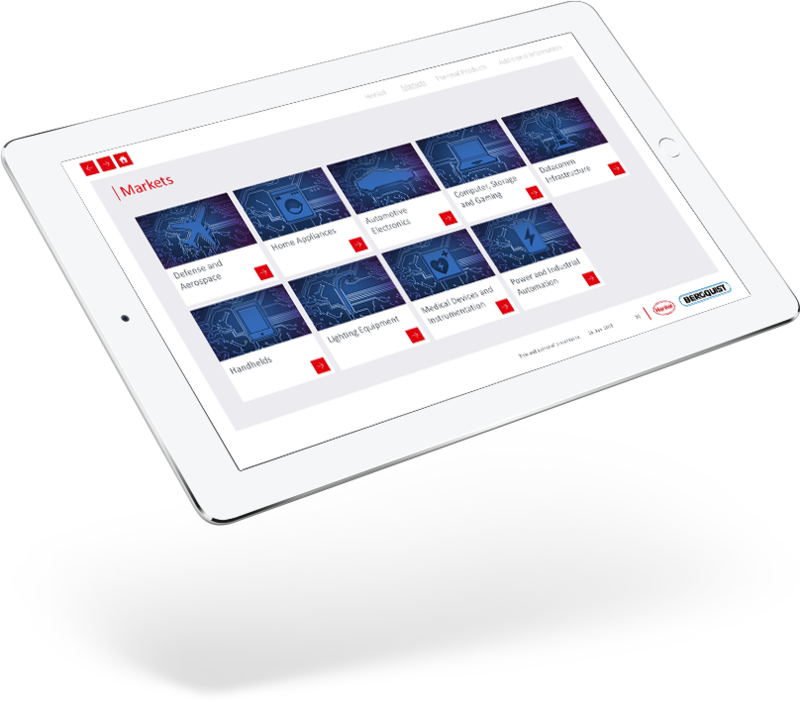 The goal is to give the presenter the opportunity to make all presentation content available in just a few clicks. A hundred percent positive customer response shows the immense quality of the presentation. For the worldwide supplier and manufacturer of sieve trays, slotted screen trays and wire conveyor belts Steinhaus GmbH, TR \ D wanted a Leadz® Presentation for the presentation of the company and its extensive product portfolio. The presentation was needed for upcoming trade show and presents TR \ D with several challenges. Only a few days were available for the project completion. 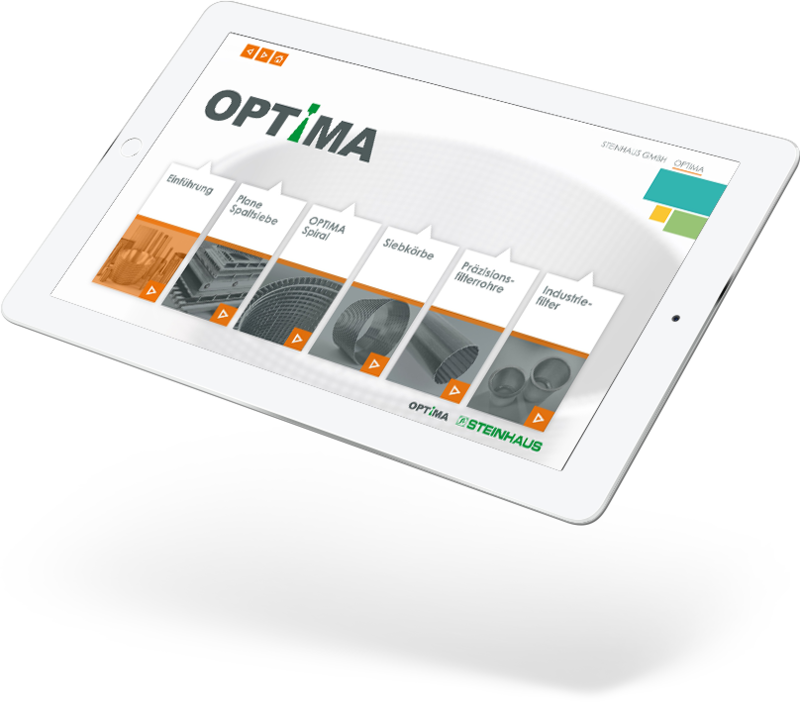 In addition, the presentation had to be targeted for use on mobile devices, with a high amount of image and video material used. 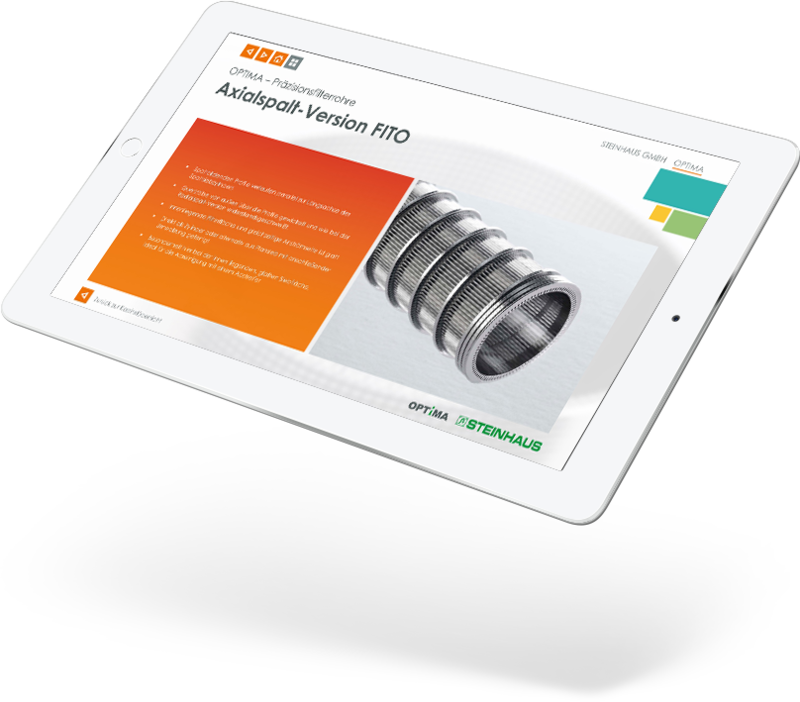 Thanks to state-of-the-art compression technology and flexible presentation methodology, TR \ D manages to keep tight timing and meet all customer satisfaction requirements. For a better illustration, we would like to present you the advantages of the Leadz® Presentation as part of an online demonstration. The only thing you have to do is contact us and invest 15 minutes of your time.